What happens when employees decide their company should not pursue a customer or a project? Do they have the right to be conscientious objectors? 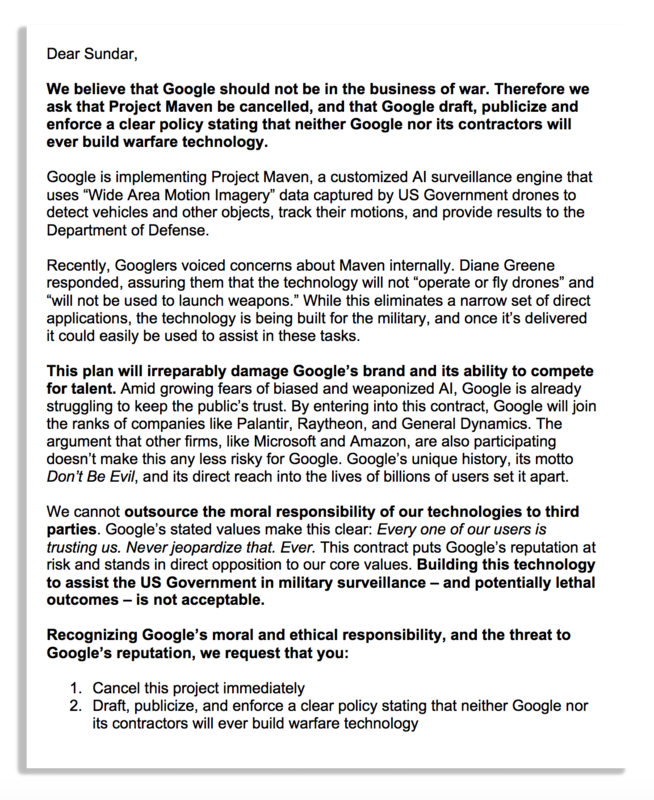 The Googlers were objecting to Google’s involvement in Project Maven, a Department of Defense project that focuses on computer vision—an aspect of machine learning and deep learning—that autonomously extracts objects of interest from moving or still imagery. What’s more, after Google chose to continue working on the project, reports indicate that nearly a dozen employees actually resigned in protest. They don’t want to be a party to developing the “kill chain” for autonomous robotic warfare. If some of the world’s best and brightest are walking away from their jobs, shouldn’t Google management get the hint? In the end, it turns out that Google listened to their employees. An article at 9to5Google reports that the company will not seek another contract to analyze drone footage. The Google brand is famous for its “Don’t be evil” code of conduct which incidentally also coined by an employee in 2000. The objection is not restricted to Google. The backlash against Pentagon contracts is spreading throughout the tech industry, reports Gizmodo. The Tech Workers Coalition issued its own petition for the entire industry. To add to the mix, the International Committee for Robot Arms Control wrote its own letter in support of the Googlers. In the short-term, no. But with employee activism, as Google employees have shown, a brand can learn to behave responsibly. From our vantage point, standing outside Google and Alphabet, the decision to pursue this AI project stands against Google’s perceived brand values. Have we considered what it means to actively support the military-industrial complex? How do our employees feel? What impact can our participation have on our future in terms of public trust? What does this do for trust in the long run? Do we really want to be “aiding and abetting” autonomous killing? What is the lesson for all of us as marketers and as human beings? 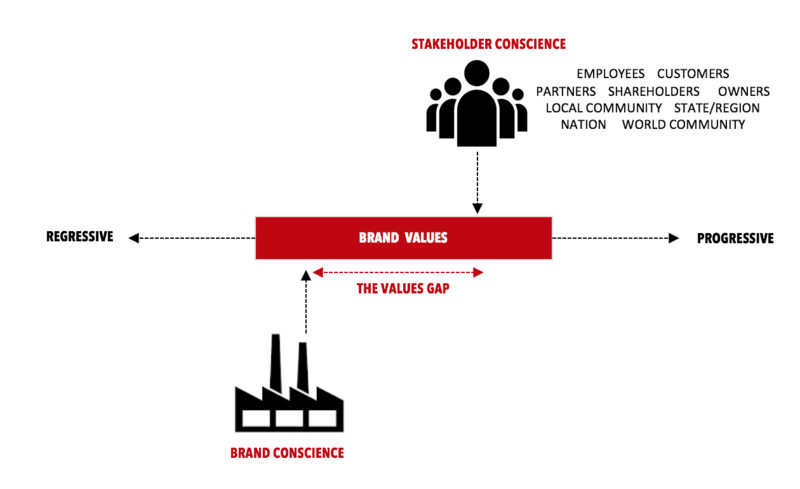 We can refer to our brand activism framework to understand that when company actions go against the common good, we will increasingly see a backlash from consumers, employees, and society at large. In this case, Google employees acted as brand guardians, standing up for the Google’s brand values. 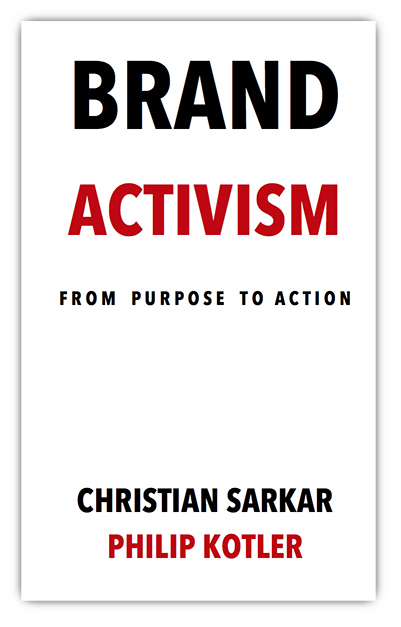 Brand activism is a new standard by which companies are called to accountability. 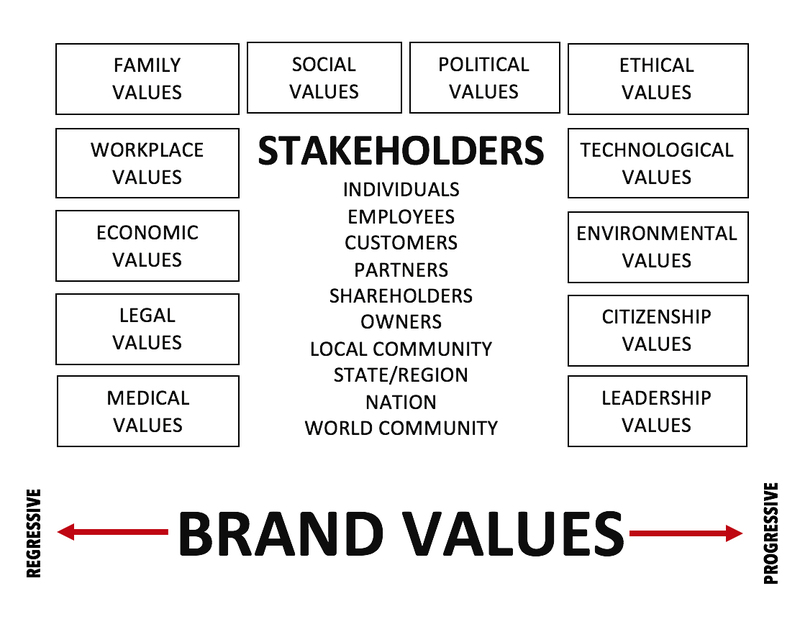 To understand what this means, let’s look at how businesses might address the the values gap which we define as the difference between stakeholder values and brand values. Google and brands like Google must actively measure and understand the gap between public values and their brand values. When that gap becomes too wide, problems ensue. In this case, it was the employees that stood up for their brand, and called out the values gap. The employees were right to question their leadership. What’s really heartening is that the voice of the employee was heard, and acted on. In other companies with more restrictive cultures, we think the voice of dissident employees may simply be ignored. There’s little sign, reports WIRED, of the same sort of rebellion amongst Amazon and Microsoft workers, even though Amazon and Microsoft are also engaged in similar AI and machine learning projects with law enforcement and the Pentagon. All this begs the question: What is the CEO’s role? In the past, we’ve said that the CEO is the guardian of the brand, protecting it from short term actions which may result in longer-term value destruction. 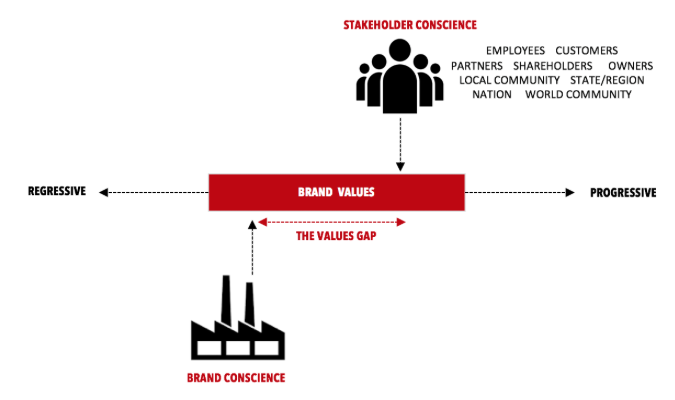 Values will now play a critical role in strategy and decision-making. Is your firm ready?